The extensive Senior School curriculum includes the core areas of English, Mathematics, Biology, Chemistry, Physics, two modern foreign languages (French and Mandarin Chinese), PSHE and Physical Education. 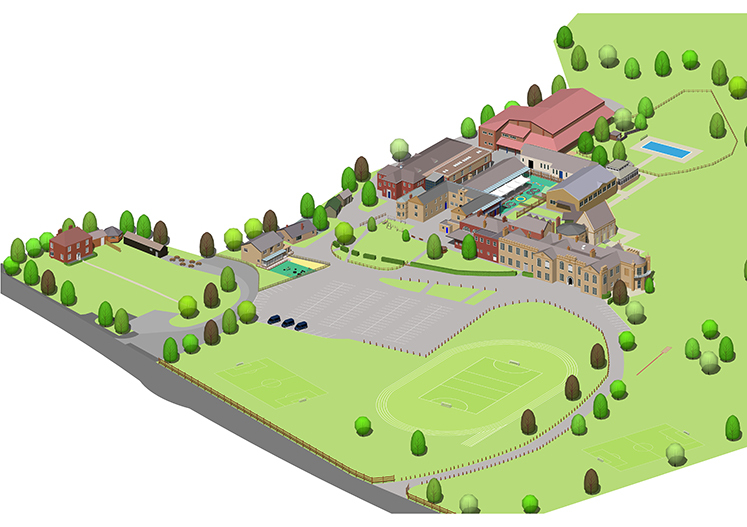 In addition, pupils in Year 7 - Year 9 study Computing, Geography, History, RPE (Religion, Philosophy and Ethics), Music, Art & design (including Art Textiles), Drama, Latin in Years 7 and 8 (and either Latin or Classical Civilisation in Year 9) and Design & Technology: Product Design and Food & Nutrition. In Year 8, girls can continue to learn French and Mandarin Chinese, or they can replace one of these languages in favour of Spanish. 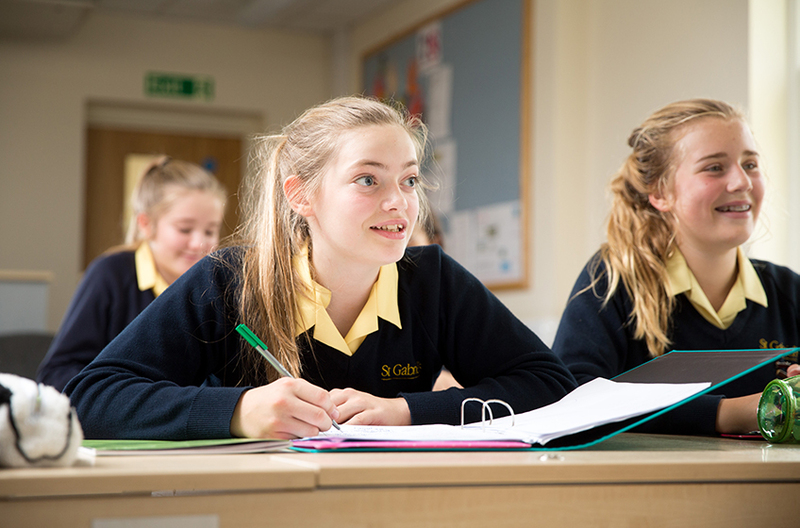 In Year 10 and Year 11, pupils follow our core GCSE curriculum: English, Mathematics, three Separate Sciences or Combined (Trilogy) Science, at least one modern foreign language and either History or Geography. Pupils choose three option subjects from a broad range including: Classical Greek, Art & Design (one or more of: Art, Photography, Graphics and Art Textiles), Business, Classical Civilisation, Religious Studies: Philosophy and Ethics, Computer Science, PE, Dance, Drama, Latin, Music and Design & Technology: Product Design. As girls work towards external examinations in core and option subjects they become more proficient at managing their own learning. They are given on-going, subject-specific guidance and pastoral support to ensure that they have the skills required to learn independently and to achieve their full potential. Passionate and creative teaching ensures that girls are fully engaged with, and contribute freely to, challenging and fast-paced lessons. Our careers education programme equips pupils with information and the necessary tools to ensure that they make the right choices for their future working lives. All pupils benefit from an extensive PSHE programme, which includes skills for life, wellbeing and careers education. The most able pupils are challenged to think independently and to ‘go the extra mile’ whilst support is also given to those who have a learning need. Pupils’ work is marked using comments, which highlight where the pupil has been successful and what she needs to do to improve. 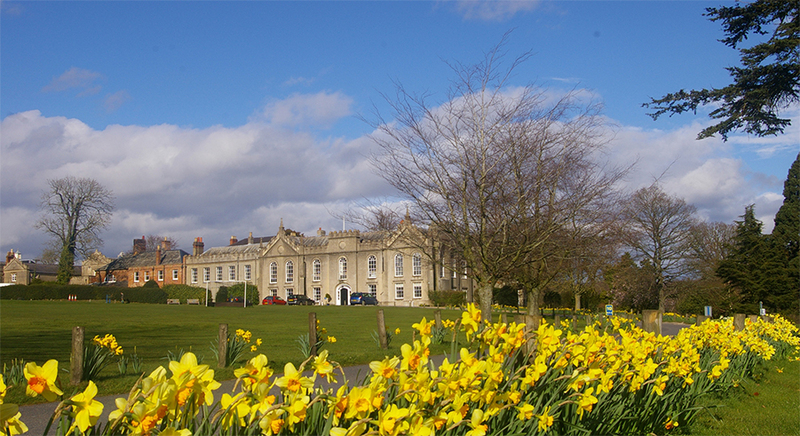 Our curriculum is broad and, whilst all schemes of work are based on the recommendations of the Department for Education, all members of staff delight in having the flexibility to explore their subject further, outside the restrictions of the National Curriculum, to ensure that our pupils are inspired and challenged at every stage of their learning journey. Girls are set according to their ability in a subject, when it is believed that this arrangement is beneficial to the progress of all students. Pupils are discouraged from regarding setting as either elitist or inflexible. Rather, they are encouraged to think of their skills as developing at different rates and not to consider their placement within a set as indicative of their overall ability or potential. It is unusual for pupils to change sets during the year. Should this become necessary on reviewing a girl’s progress, the timetable provides this flexibility. If teachers feel that a movement between sets would be beneficial then this is first discussed with the pupil and the parents are then informed. In Year 7, pupils are taught in their form groups for all subjects except Mathematics, where they are set from October, and English, where they are set from the start of the Spring Term. From Year 8, pupils are taught in ability groups for the majority of subjects. Teacher-pupil ratios are such that each girl's needs can be monitored accurately, and any problems addressed promptly to ensure that each pupil makes optimum progress. Teachers engage closely with pupils in workspaces that support each subject's specific needs. Full Reports will give comments and targets for each subject and are available via the parent portal. If you want to discuss your daughter's progress outside of the parent evenings, please contact your child's form tutor in the first instance.